Aerocene is in, on, about, and with the air. An interdisciplinary artistic endeavor that seeks to devise new modes of sensitivity, reactivating a common imaginary towards achieving an ethical collaboration with the atmosphere and the environment. 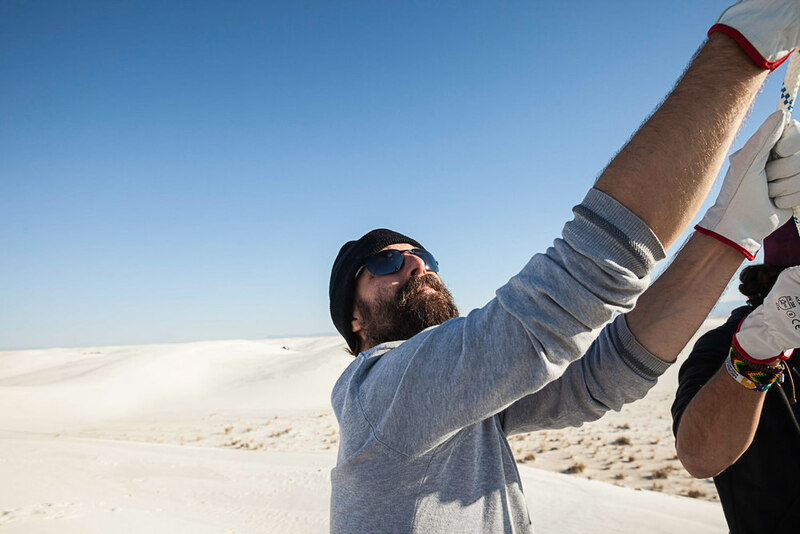 By collaboratively developing, testing and launching Aerosolar sculptures, Aerocene seeks to open up the imagination, un-tethering a new era of planetary attunement, restoring the thermodynamic balance of the Earth. 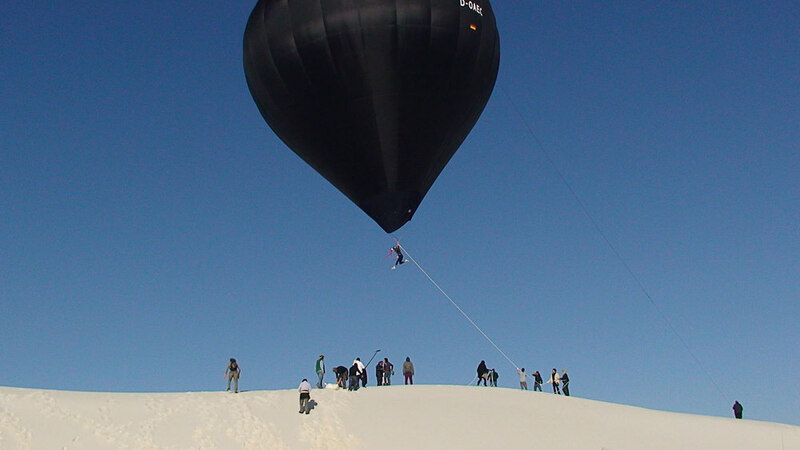 The launch pad towards this new epoch is an aerosolar balloon, a Do-It-Together (DIT) entrance to the aerial, whose engine is only the air and the heat of the Sun, floating as a result of temperature differentials between the two air masses, anywhere from 2 degrees up, without using any fossil fuels, helium, hydrogen, solar panels or batteries. 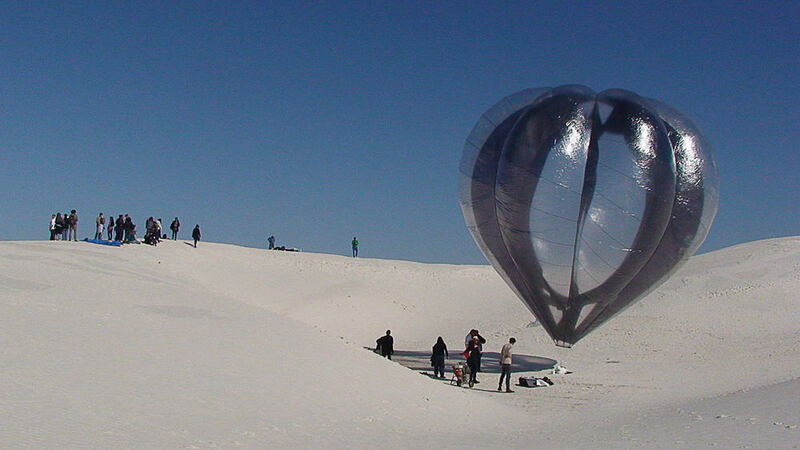 Since its beginning, various sculptures and tools have been invented and world records broken in a move towards this collective vision developed by the Aerocene global community of artists, geographers, philosophers, thinkers, scientists, explorers, balloonists, and technologists and other enthusiasts. 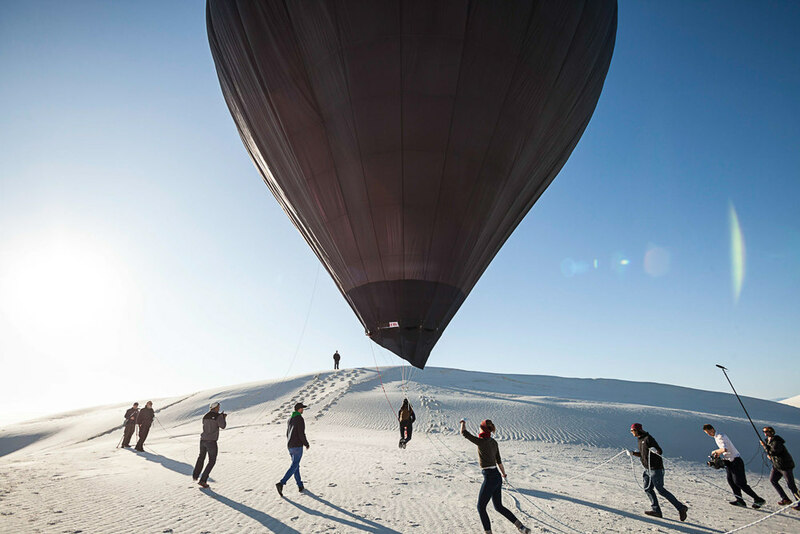 In a world of tumultuous geopolitical relations, Aerocene communicates a message of simplicity, reminding us that the air belongs to everyone and should not depend on any type of sovereignty. It imagines a new infrastructure, which challenges and redefines an international right to mobility, reversing the extractive approach humans have developed toward the planet and re-examining freedom of movement between countries. 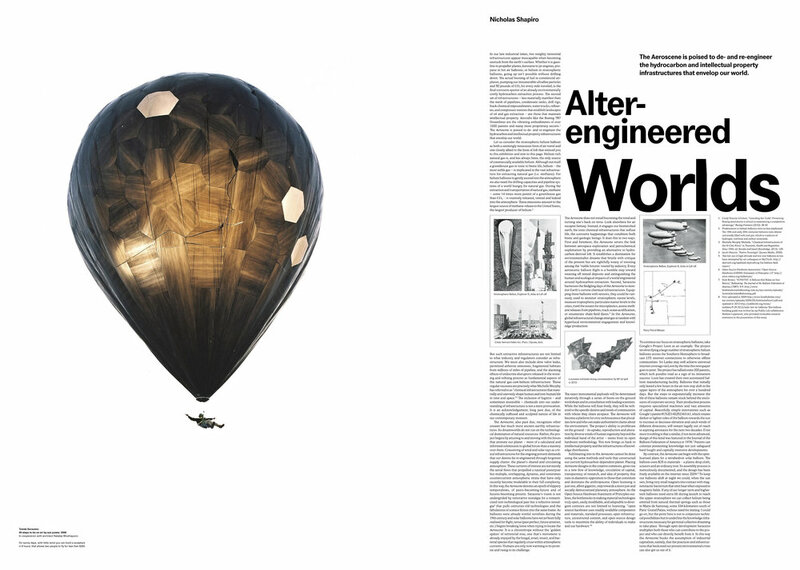 This could be achieved by encouraging a bottom-up, participatory approach to policy making about the air, and through the activity of international community-building carried out by the Aerocene Foundation. While fossil fuel enterprises to colonize other planets are put in place, this very same interface between us and the Sun and the atmosphere, the air continues to be compromised: carbon emissions fill the air, invisible radio waves develop in a hegemonic algorithm of finance, particulate matter floats inside our lungs. How would breathing feel in a post fossil fuel economy, and what is our response-ability? How do we challenge geopolitical borders in an age of climate inequality? On November 8 2015, the D-O AEC lifted up 7 passengers without any propane, hovering for about 2 hours & 55 minutes achieving two world records. 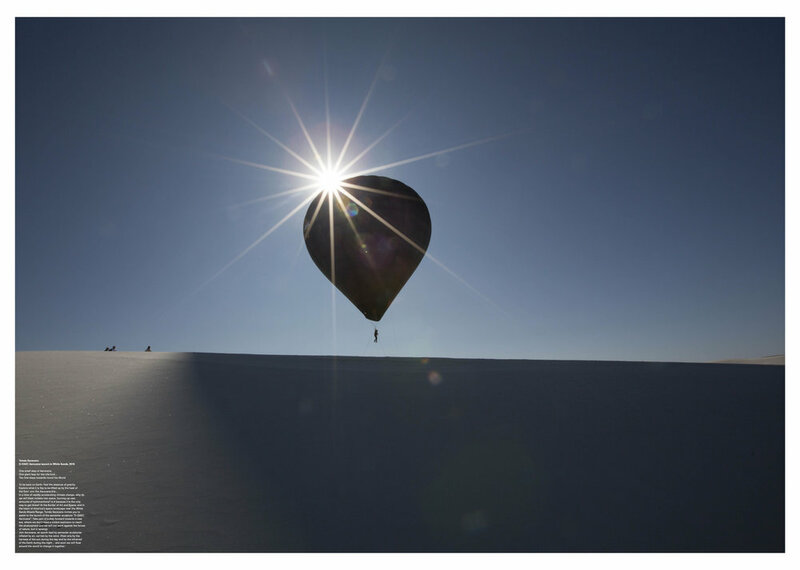 The Aerocene Backpack is a kit enclosing a lighter-than-air sculpture that flies just with the heat of the sun. 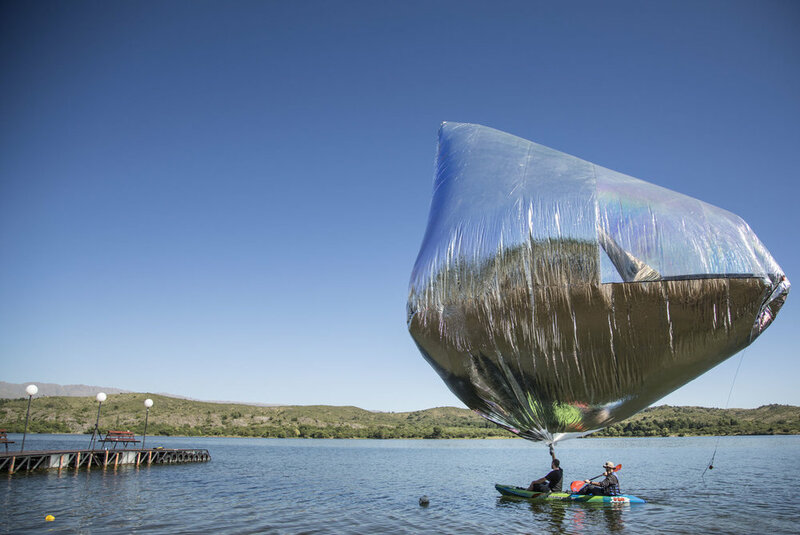 Once inflated with air, it elevates into the sky, becoming a flying sculpture, a balloon that rises into the air without any use of fossil fuels, helium or hydrogen. It is sent aloft as a signal that calls for the deconstruction of aerial borders and the preservation of our air. It contains several sensors that capture atmospheric data such as temperature, humidity, pressure and air quality. Its users are invited to appropriate it and to improve its functionalities. It is a sculpture that is always evolving through an ongoing, collective and open process of construction, a poetic tool for imagining a new era without fossil fuels and new ways of decarbonizing the atmosphere through the removal of particulate matter. Providing a message of simplicity, the Aerocene Backpack uses the thermodynamic balance of the atmosphere to know more about the ocean of air we live in, encouraging the re-appropriation of digital and electronic technologies by local communities and strengthening a DIT (Do-It-Together) and open-source participative ethos. 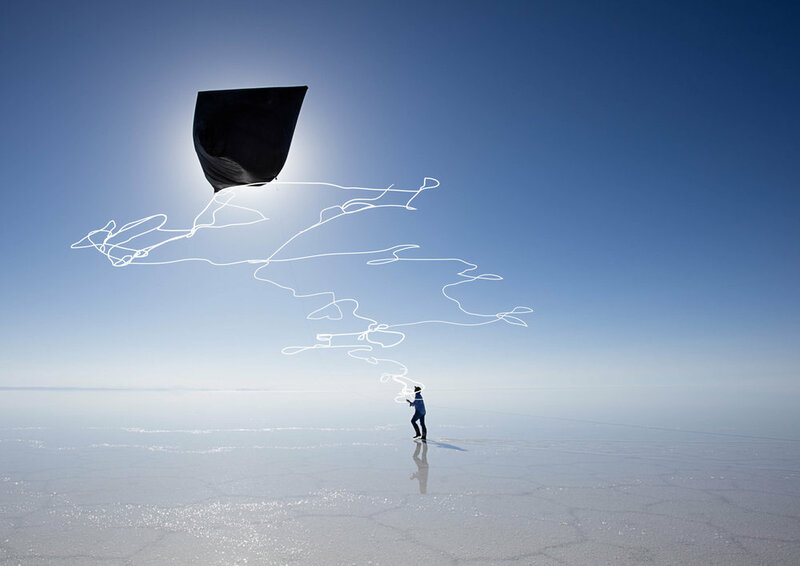 Like all Aerocene sculptures, the Aerocene Backpack sculpture lifts off ground only using the heat from the sun, and floats without burning fossil fuels, helium, and other rare gases. WHAT CAN I DO WITH THE BACKPACK? The Aerocene Backpack is currently being tested and developed by a passionate global community of artists, geographers, philosophers, thinkers, speculative scientists, explorers, balloonists, and technologists, and other enthusiasts. Have you floated with the Explorer? Share your experience with us! Write to info@aerocene.org. Join Aerocene to re-examine freedom of movement across borders and study the day-night atmospheric cycle! We will set free and recover two aerosolar sculptures from Helenesee at 8am and would love to have you there. 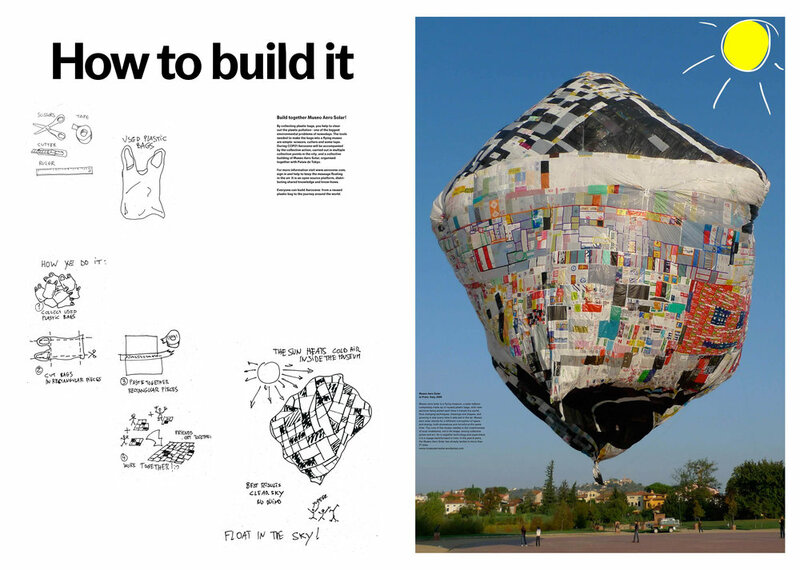 See how people launch, hack and experiment with Aerocene sculptures! Children. Give them some materials, some space in and they will create their own worlds to completely immerse themselves within in no time. They take what you give them and use it as material to weave brilliant worlds of imagination. 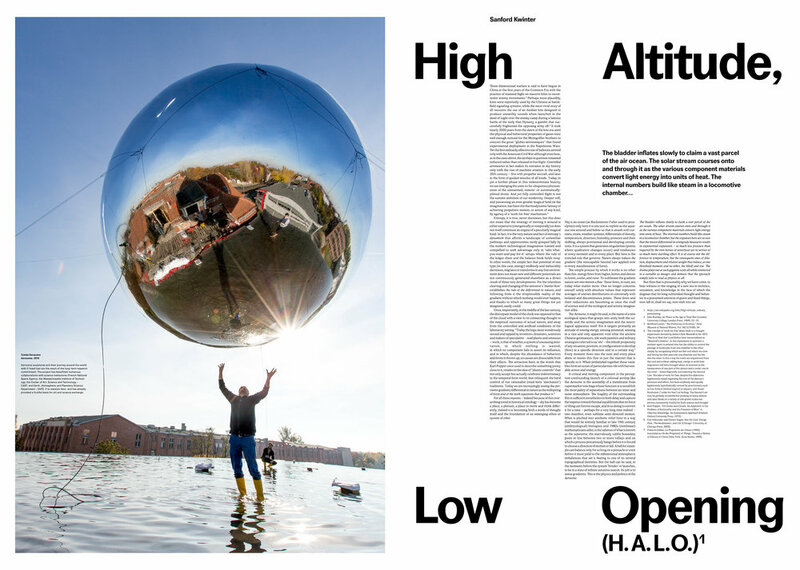 Together with Aerocene, thr34d5 has invited 15 participants to a free experimental workshop from Nov. 19th to 25th 2018, in the context of Tomás Saraceno‘s Carte Blanche exhibition in Palais de Tokyo, Paris. From open data de-encryption to measurement instrument making, the Marble Breeze reveals itself at its many scales and shapes. On Saturday 27.10.2018, Aerocene community established a new worldwide record, 6 passengers were buoyant with the air for approx 80 min without using ANY propane, discerning itself from all other certified solar crafts in existence. 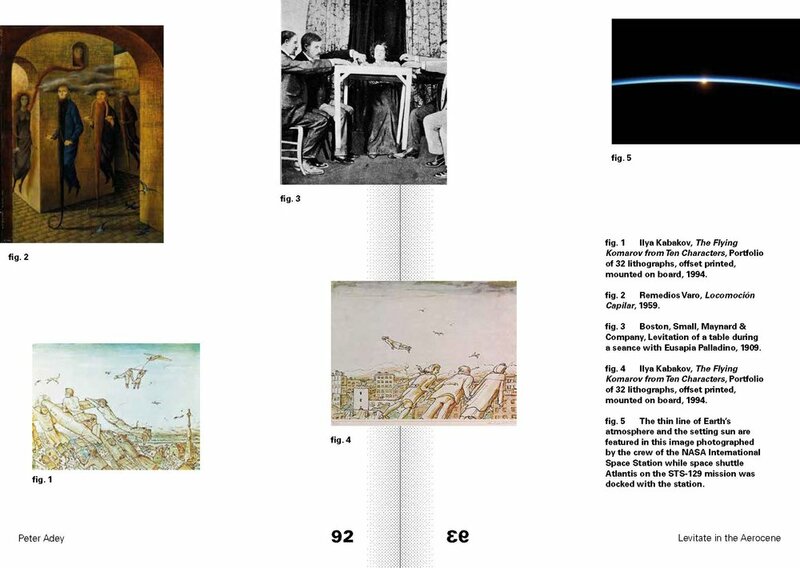 Together, Aerocene community achieved the acknowledgement for the first fully solar-powered human flight in history, and in France, 235 years after the Montgolfier brothers fossil fueled flight. Last Saturday, 9th of June 2018, two Aerocene sculptures were released in a free flight and later kindly tracked, found and retrieved by Polish radio-amateurs from Radiosondy Polska. 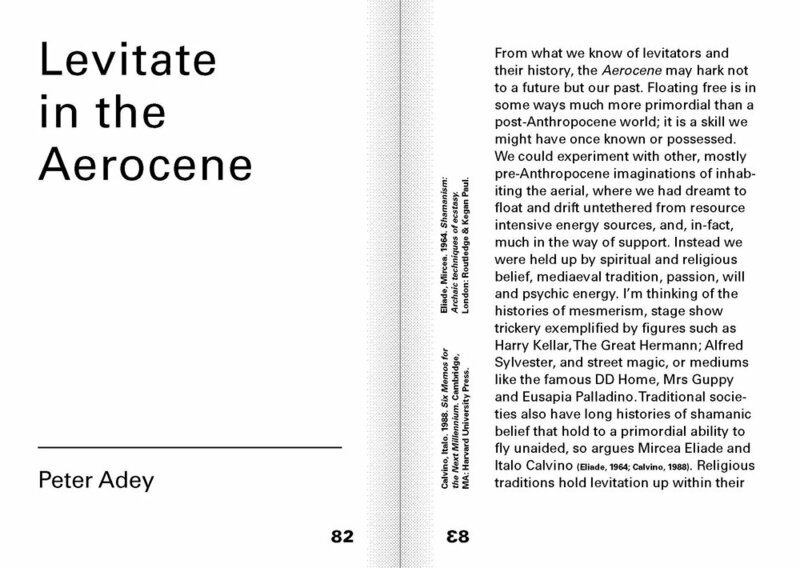 At 9 am, over 40 Aerocene community members joined together to celebrate the launch of the book ‘Aerocene’. A duo of first ever Australian Aerocene Explorer flights took place in the last week of 2017 and the first week of 2018. The flight in Esperance was a true testament to the ability of the wind, with a strong onshore south-westerly typical to the area, the flight was equal parts battle and dance with the wind in an attempt to gain some lift from the sun and record some aerial footage of the beautiful coastal landscape. Only one day before the closing of ‘After the End of the World’, an exhibition about the Earth of 2017 (irreversibly transformed into the Anthropocene planet after two centuries of human impact on natural systems) and how we will reach the world of the latter half of the 21st century. The sky was painted a crystal blue, and from all corners of MIT, people strolled out in shorts and sunglasses. Meanwhile, a gigantic black balloon was floating on Killian Lawn. Animated by what could only be described as an otherworldly force, the object writhed midair. Performers Renae Shadler and Maria Nurmela launched an Explorer Sculpture on the courtyard of Hellerau Festival Theatre to get inspired for their research.The core of the ‘Susurrus’ project is to encourage environmental awareness through a sensual journey that encourages audiences to sense their embeddedness within the biosphere. 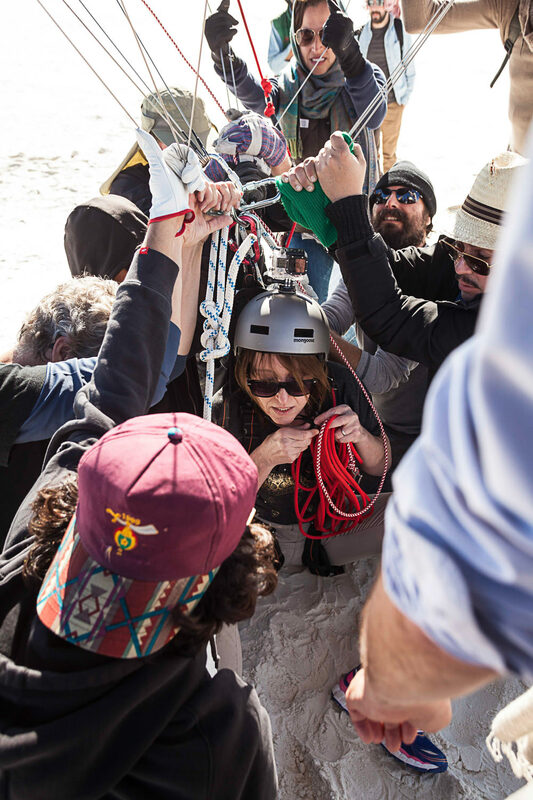 We share a sneak peak of our adventures in the province of Argentina, where we tried some air-water-air experiments with Aerosolar Sculptures and learnt from the atmosphere by attempting to launch the first ever solar free-flight balloon in Argentina. Want to add your launch or innovation to this page? Let us know! Write to us at info@aerocene.org.